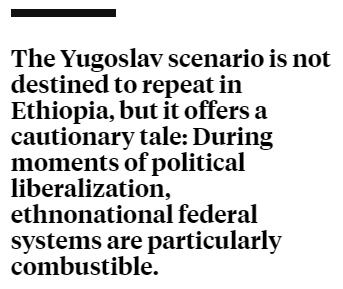 Federations of ethnonational states can become explosive during moments of political liberalization. 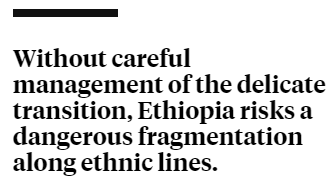 PM Abiy Ahmed must tread carefully to avoid a Balkan nightmare. 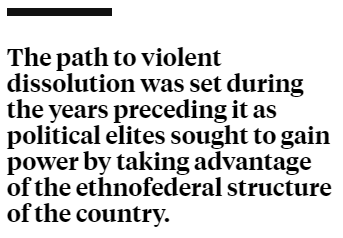 First, the units of the Ethiopian federation did not previously exist as separate states. Third, the bond among nationalities appears stronger. After all, all groups remember the common struggle against the Italian invasion more than 80 years ago, whereas in Yugoslavia the resistance against Nazi occupation was not universal; there were internal divisions between the resistance and collaborators. 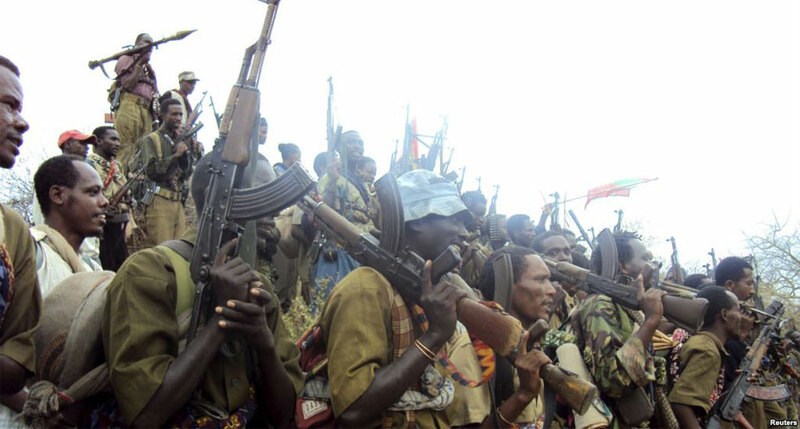 Finally, separation and secession appear impossible in key cases. 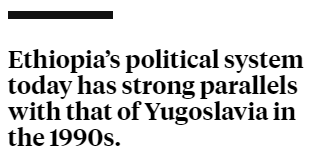 For example, Oromia is the geopolitical center of Ethiopia; the secession of the country’s largest region is geographically impossible without a complete dissolution of Ethiopia (unlike in Yugoslavia, where the main claimants for secession had borders with other countries). For a successful peaceful and democratic transition, the new administration needs the support of international actors. But most of all, the prime minister needs new blood in the bureaucracy — with commitment, diligence, and ability—to tame and reverse the rampant corruption, inequality, discrimination, mediocrity, and favoritism that were the hallmarks of the past regime.